Home » Dee has landed! Yesss! 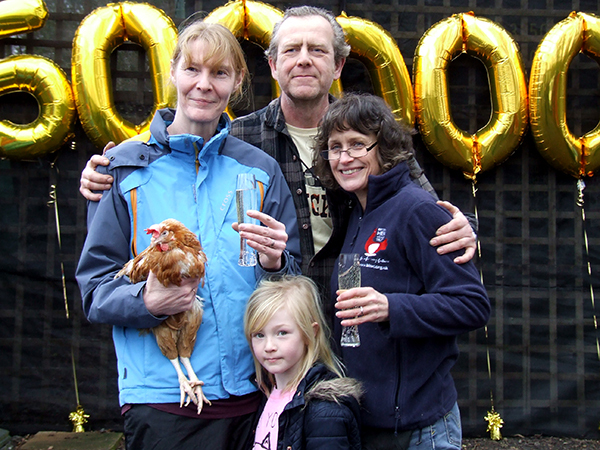 After 10 years of helping all our beloved hens (just think huge amounts of feathery gorgeousness), we were delighted when our very special 500,000th hen was adopted in January amidst a flurry of hugs, smiles, bubbles (as in champagne) and oh yes feathers! And what an occasion it turned out to be! Dee was not adopted alone. 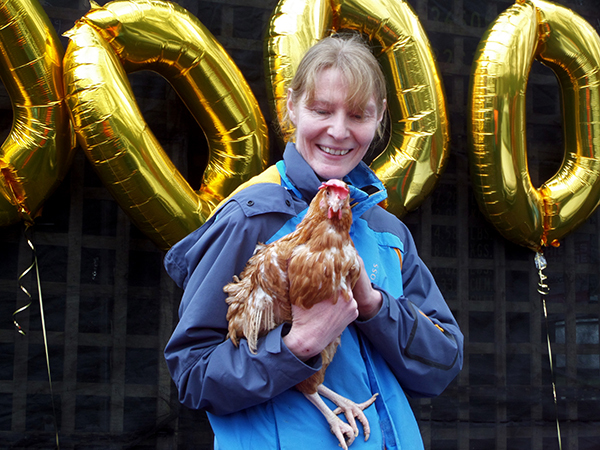 Together with a few equally lucky feathered friends, she went off to her new home complete with a swanky new des-res hen house, cosy bedding, a year’s supply of feed and a host of other hen delights (all donated by our generous BHWT corporate supporters). 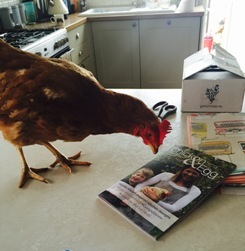 Having ended her working career Dee has only a happy, relaxed, and rather luxurious free range retirement to look forward to (as do all of our hens, of course). 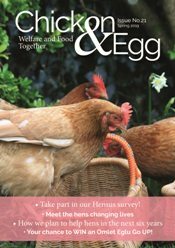 For those not lucky enough to be able to keep hens, but who share our passion for them, we are offering Dee as one of our special sponsor hens so you can be kept up to date with her news and views on free range living. 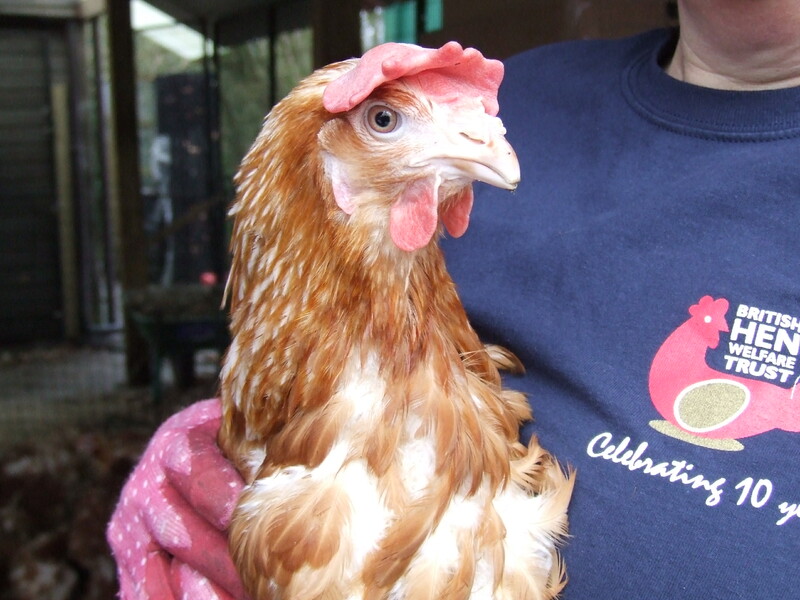 If you know someone that might like this gift, or if you fancy treating yourself, you can sponsor Dee today! 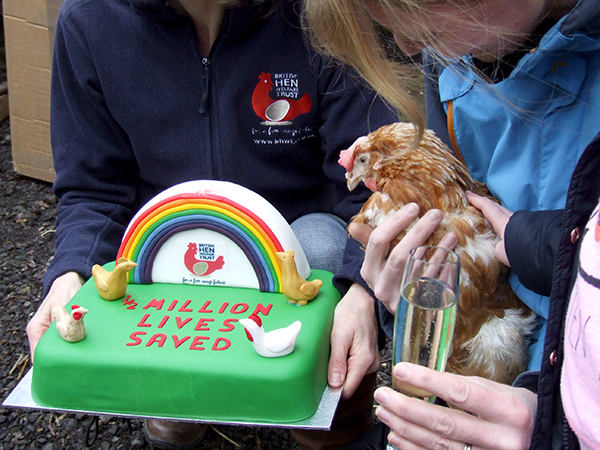 A big thanks to our wonderful supporters for all their incredibly generous donations!